Not all smokers are into a strong tobacco flavor, some like their cigarettes mild and fresh. Menthol cigarettes have become the tasty, refreshing version of regular cigarettes and so they have gained great popularity among many smokers. 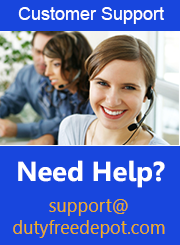 There is no doubt that the leading brand of menthol cigarettes is Newport. This cigarettes were introduced in the late 1950s by the Lorillard Tobacco Company in North Carolina. At the time, Newport cigarettes were known to be quite expensive; however, today you can get them for a low price – at Duty Free Depot. 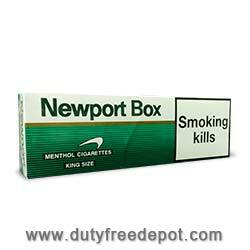 Grab your favorite Newport cigarettes at Duty Free Depot online store! Enjoy great discounted price at our premium site. We offer Worldwide shipping! Duty Free Depot, an online shop which specializes in tobacco products, as well as related accessories, is certainly a website you should visit. Among other things, what you will find there includes premium cigars and cigarettes, top quality e-cigarettes, lighters and spirits, too. Prices of all products are extremely friendly and fair – you don't have to pay a fortune for cigarettes, like you do in other stores. Duty Free Depot is a place for smokers, which understands smokers. You can always find special deals, get discounts or purchase coupons. As you'll see for yourself, you can save A LOT at Duty Free Depot – especially when you purchase a large quantity of cartons and packets. Other than low prices and high quality products, Duty Free Depot is known for its outstanding customer service, and offers solutions to every problem or question you might run into. Another excellent advantage of Duty Free Depot is the worldwide shipping service – the stores ships to Europe, the USA, Australia, the Far East, etc. So if you wish to order your favorite brand, simply visit the website, find it, place an order and you will have it delivered to you in no time at all!